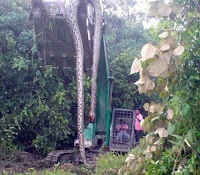 photograph purporting to show a 55ft snake found in a forest in Malasya has become an internet sensation. 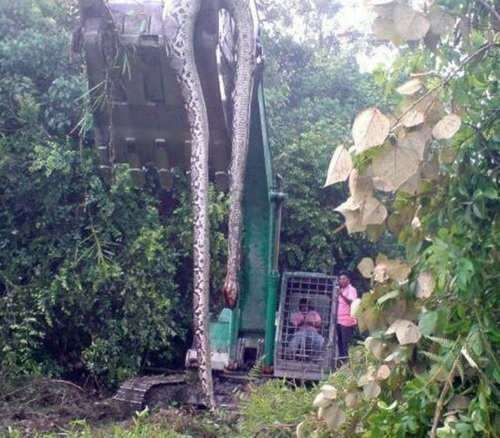 The thread claimed the snake was one of two enormous boas found by workers clearing forest for a new road outside Guping city, Jiangxi province. They apparently woke up the sleeping snakes during attempts to bulldoze a huge mound of earth. “On the third dig, the operator found there was blood amongst the soil, and with a further dig, a dying snake appeared,” said the post.